I'm back for the third week in a row, and with another cookbook review. It seems that more than flowers are sprouting up for spring. This new book is from Robin Robertson - another in the "win" pile! This is called Veganize It! 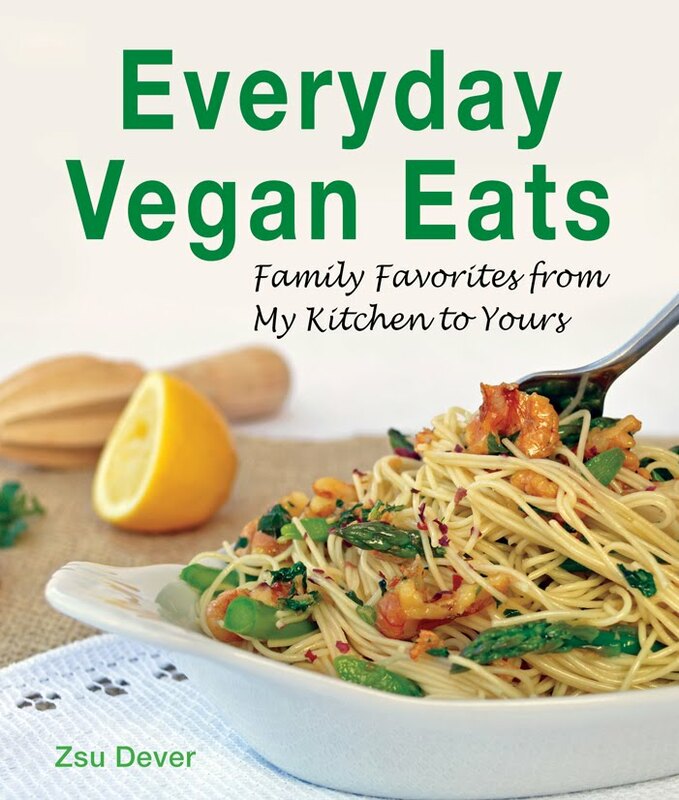 Easy DIY Recipes for a Plant-Based Kitchen (AMAZON, B&N). As always, Robin is very thorough and imparts tons of information in this newest volume. 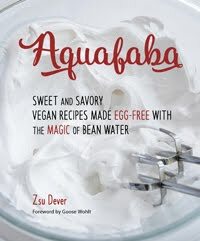 As the title indicates, this book turns non-vegan ingredients and recipes into delicious vegan ones! Robin starts with a pantry list then moves into ingredients to know and also shares a few basic tips and tricks. Then come the recipes! The chapters range from DIY Dairy-Free and Egg-Free, Too, and Plant-Based Meats to Vegan Charcuterie and Instead of Seafood, to list a few. I decided to test the book thoroughly and make as many of the ingredients at home as was called for in the recipes - because although Robin gives you basic recipes to veganize, she also assembles those recipes into a dish. The sausage was easy and quick to make and it was as promised: delicious. 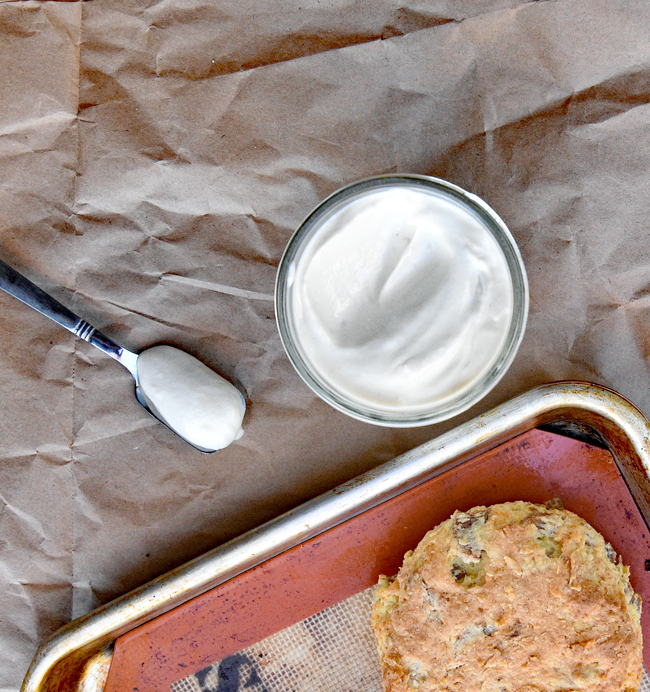 The sour cream was just as easy to prepare and just as tasty. I used the remaining sour cream to make a salsa-ranch dressing. Yum! 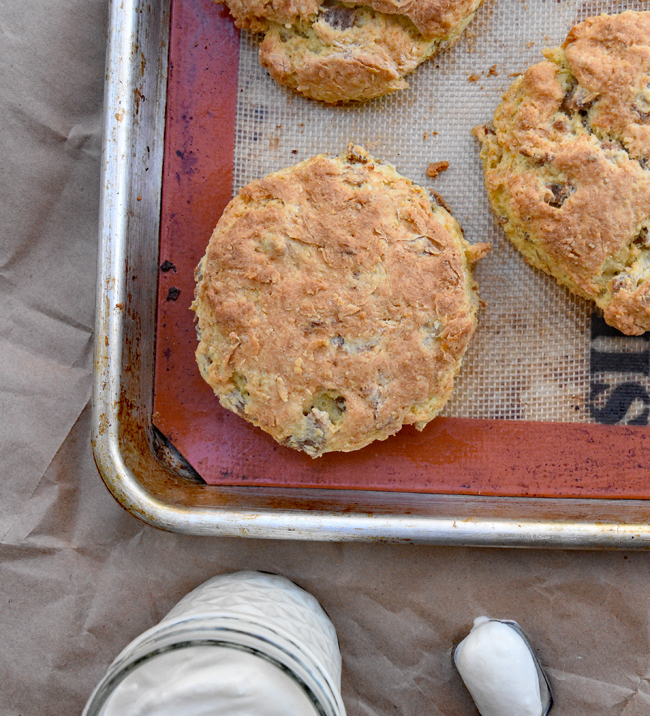 When you add all these ingredients together, it makes this cheesy, sausage-y, fluffy and buttery biscuit. We all really enjoyed these! In fact, the biggest problem was that I didn't make enough! 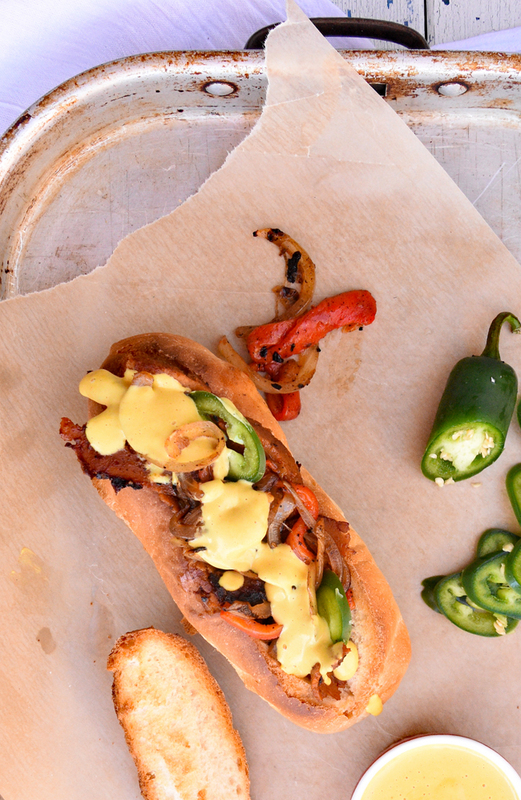 The next main recipe I wanted to make was Cheesy Steak-Out Sandwiches. This recipe needs Vegan Worcestershire Sauce, Cheddary Sauce and either portobellos or seitan. I chose to make Baked Seitan Roast because I have a mushroom hater in the family. 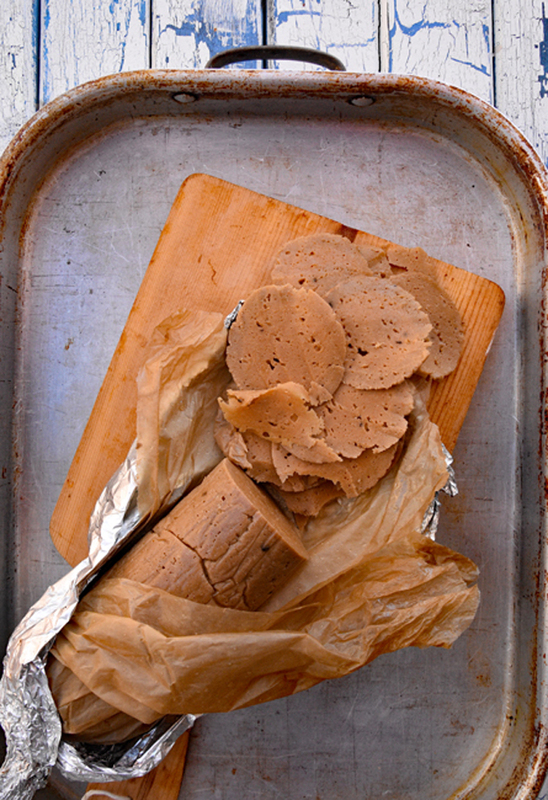 I am a seitan lover and this simple roast was wonderful, especially in this sandwich. 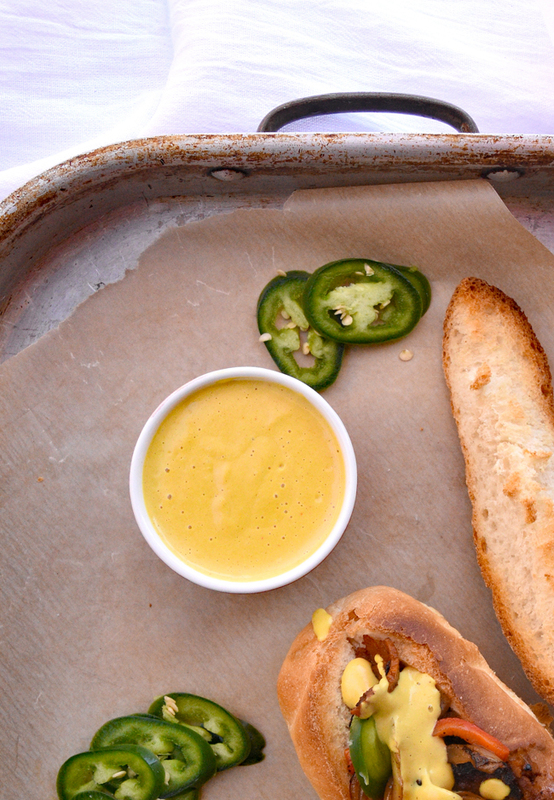 I also made the Cheddary Sauce, which was equally amazing and brought this sandwich up another level. Wrap all these scrumptious ingredients into a freshly baked roll and you have this perfect sandwich! If you are wondering if mushrooms would do this justice, I can assure you that it would! This book is definitely an asset to your collection - or the beginning of your collection of cookbooks! It is unique and varied enough that the book is worth its price in gold. It has recipes such as scrapple, hot dogs, wellington, ribs, omelets, feta, butter, jerky, pepperoni, sea scallops, fish-free fillets, oyster sauce, kimchi, pasta, ganache, and the list goes on! 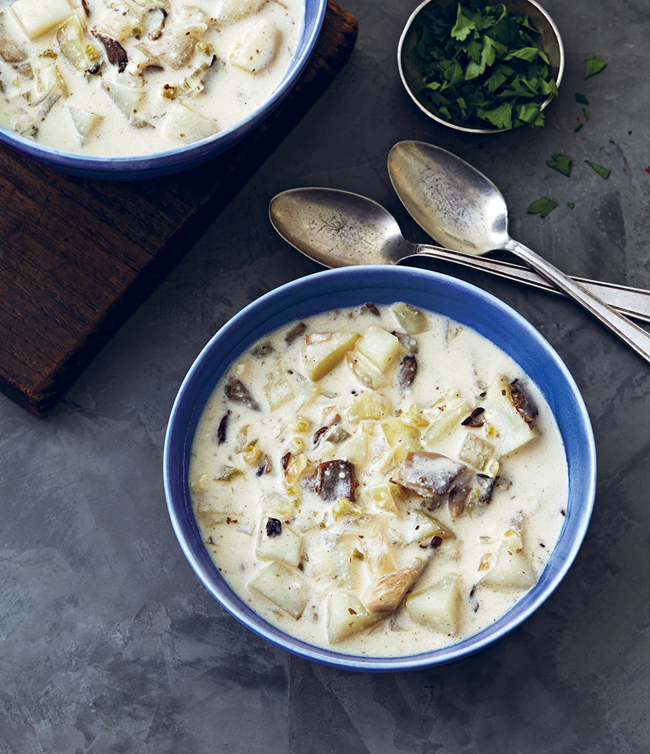 Robin has offered to share a recipe with you and since I focused so much on seitan for my review, I wanted to show you some more range and am sharing Robin's Clam Free Chowder. After the recipe, be sure to enter the contest to win Veganize It! from Robin and her publisher. It's easy to enter - leave a comment (and be sure I can contact you, should you win!) Contest is open to US residents only and will conclude April 3, 2017. Good luck! Photo by William and Susan Brinson. 1 Heat 1 tablespoon of the butter in a large pot over medium heat. Add the mushrooms and cook for 5 minutes. Remove from the pot with a slotted spoon. Add the remaining 1 tablespoon butter to the same pot over medium heat. Add the onion, celery, and garlic and cook, stirring occasionally, for 5 minutes, or until softened. Stir in the potatoes, bay leaves, dulse, thyme, Old Bay, salt, pepper, and vegetable broth. Bring to a boil and then decrease the heat to low and cook for 30 minutes, or until the potatoes are just tender. Remove the bay leaves and stir in the liquid smoke. 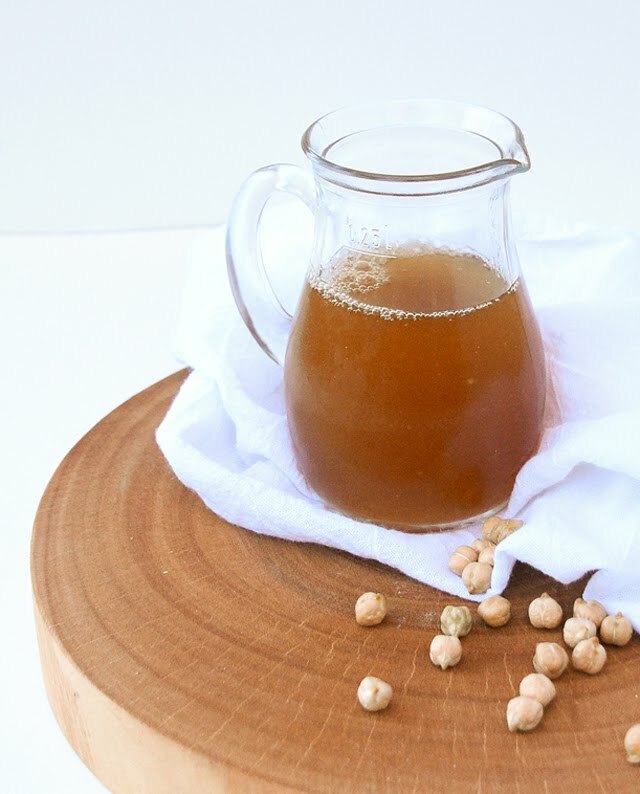 2 While the soup is simmering, blend the cashews and 1 cup of the almond milk in a high-speed blender until smooth. When the vegetables are tender, stir in the cashew mixture and the remaining 1 cup almond milk. Stir in the reserved mushrooms and heat the soup for a minute or two until hot. Taste and adjust the seasonings, if needed. Serve hot, garnished with the parsley. I would love to win this cookbook. It has so many tasty recipes! Pick me! Would love to try the biscuits! Robin's recipes are the best! Please enter me in your giveaway! I have several of Robin's cookbooks, and this sounds like it would be a great addition to my collection. Oh my - those biscuits! Looks like Robin wrote another great cookbook! OMG, my mouth is watering, I really would love this cookbook, want to make baked seitan roast. My almost 8 year would love to find that sandwich in his school lunch box! I will work hard to be worthy of winning this book. mark.writer@gmail.com Thank you! Ooh, looking good! :) The biscuit looks like something my fiance would go for, and he's not a vegan. I am so intrigued by the cheezy biscuits. I would love to win this book! WOW. Both of these recipes are totally fool-worthy, and I'd love to give them a whack in our kitchen! Thanks for the recommendation -- CHEERS. Another great book! Another great review of the book! 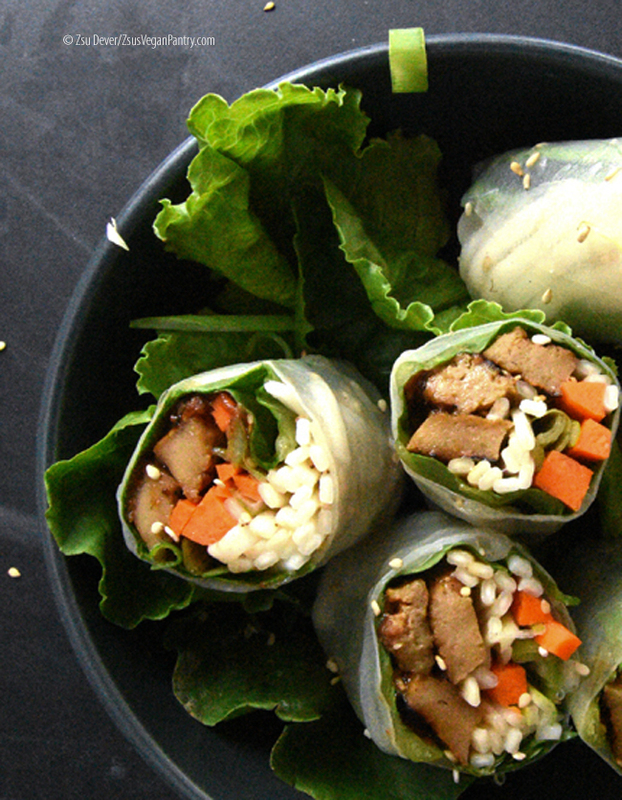 Another terrific vegan recipe! And Another AWESOME chance to win! I always love hearing about new and new-to-me vegan cookbooks! I would LOVE to win this because I enjoy veganizing anything I can. I'm on a kick of making vegan sour creams at the moment. I have never made my own Seitan! Sounds interesting!!!! Your review and the photos you posted makes me want this book!!! All of these look amazing and I cannot wait to try the Chowder. I would love to add this new cookbook to my collection. Thank you for the opportunity to win it. I love Robin's recipes, they're so easy & versatile, especially for a weeknight. That sandwich looks delicious and the soup absolutely lush! These recipes look amazing - another book that needs to be added to my collection. Looks like an excellent book. Thank you for the giveaway! My favorite vegan recipe is Vegan Jambalaya! I'd love this book for new ideas. I'd love to use more plant-based recipes. I noticed that I'm not getting enough veggies into my diet. I would be so thrilled to win this! 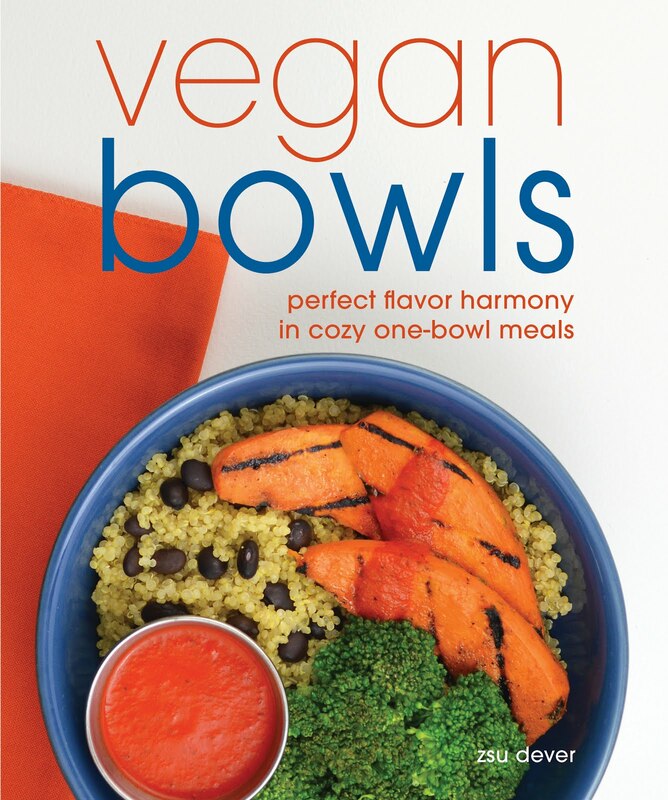 I am hoping to go vegan this year and I would love this cookbook for my growing collection! I love Robin's books. Vegan Planet was one of the first vegan cookbooks I owned, even before I was actually vegan! Jody, you are the winner of the book! I'll be emailing you in a bit. Congratulations! Yum! Just found out about this book the other day from another blog. Looks pretty awesome! 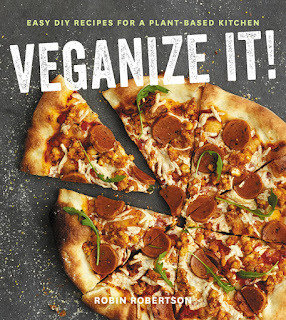 Robin's new book sounds like the ideal addition for when you just aren't sure what ingredients would work together. As a newer vegan I would love to have her book it sounds delicious and very helpful. Thank you. I just borrowed this book from our local library, and there are so many recipes I would like to try. It would be great to have my own copy. Thanks for the giveaway! Looks interesting and full of comfort foods. Not a fan of mushrooms but looks like might be able to substitute. Wonder if there are any substitutions for cashews as have a family member allergic to cashews, and mangoes but can eat other nuts and fruits. I was wondering if you used your low temperature baking method for the seitan roast or if you followed the baking method from the book (oven or slow cooker)? Thank you! I didn't. I will usually try to make recipes the first time as written in the book. It did come out with a bit of seitan flavor but because I was using it with a bunch of other strong flavors I decided that even if it did come out less than perfect it would be okay in the sandwich. If you are thinking of baking it low, then I recommend 275F and about double the time from 45 minutes to 1 1/2 hours. You can test it at 1 1/4 hours by pressing on it - if it feels soft it needs the extra 15 minutes, if it is firm it is good. That seems to be my rule of thumb - 275F and the time doubled. And I just noticed the date of your comment! Yikes! I'm so sorry this slipped through the cracks - I've been focused so much on school that I missed this! No worries at all. Thank you so much for your response. I will definitely try baking it at low temperature and see how it comes out. I'd love to know how it goes for you. I made it this morning. It is the best seitan I have ever made. 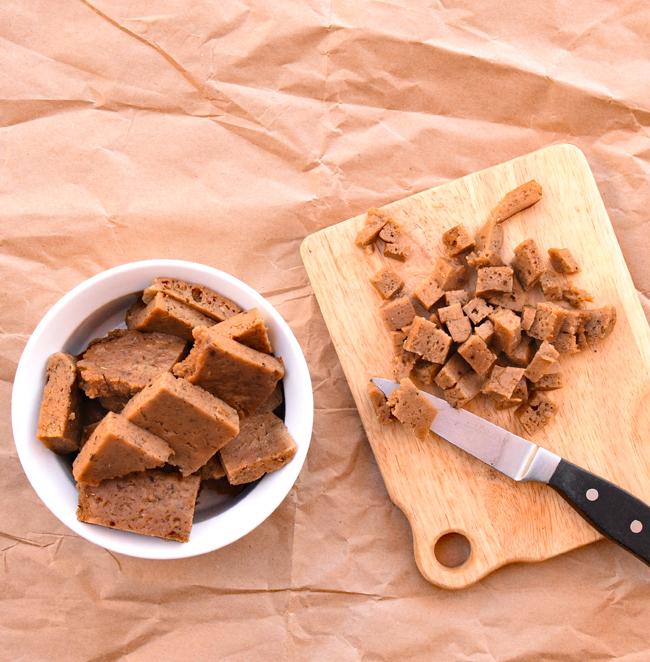 No "seitan" gluten taste nor after-taste. The original recipe required that I put the seitan roast in the oven a second time but I didn't. I just baked it at 280F for 1 1/2 hours (my Breville oven doesn't have a 275 setting). That sounds perfect! Just the way I like seitan. It was my pleasure to share, and I'm very happy it worked well. I'll add the note to my copy of the book. Thanks, Terry!